Technology in terms of photo cameras has advanced greatly. But despite the functionality and versatility of the new devices there are still people that miss old cameras, especially the classic Polaroid. If you're one of these people, you can download Polamatic on your iPhone, an application with which you'll have photographs that recreate the effect of the famous instant cameras. With Polamatic you can create or import photos with dozens of different Polaroid frames, as well as also a dozen different filters for your captures. 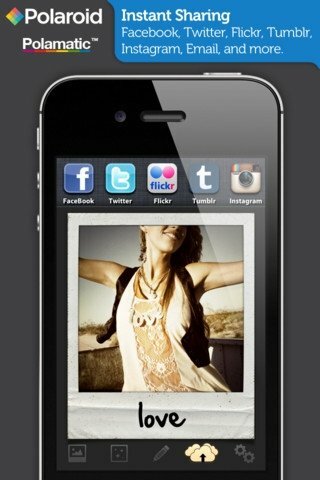 You will also be able to add text to your photos if you want and share them over the most popular social networks. A dozen real classic Polaroid frames to choose from, that haven't been generated by a computer, having actually been scanned in high resolution from real frames used by the company. Twelve photo effects to customize your photos. Option to add text with twelve different fonts to your Polaroid photo. Possibility to share the images on your social networks: Twitter, Facebook, Flickr, Tumblr or Instagram and also by email. 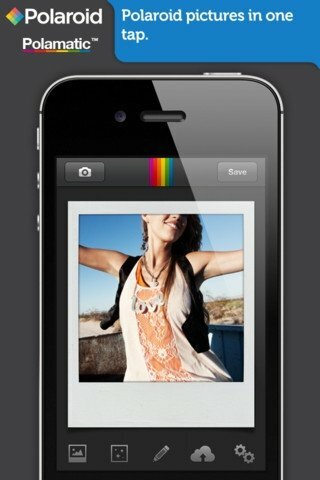 Take photos straight from the application and control the flash and the front and rear cameras. Download Polamatic to your iPhone and give your photos a vintage touch.